There are three different ways you can send a message to a tutor. 1. 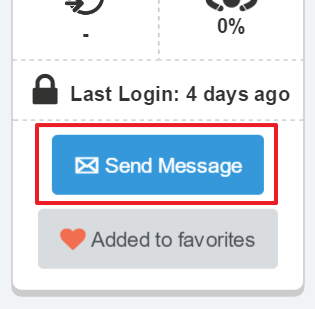 Use the “Send Message” button on the right hand side of the tutor’s profile page (this is the only option if you have never taken lessons with that tutor before). Go to your dashboard and click on "messages." You will be directed to your message box. From there, you can compose, check and respond to messages. If you want to send your tutor a message about a particular lesson request, go to your requests page and click on the lesson request number. You can contact your tutor by writing a message into the comment box.